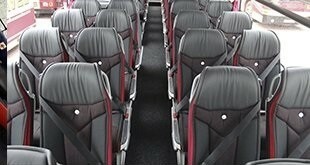 8Rental invites to hire a decent chauffeured bus in Krakow at money-saving & pleasing customer's desires rates. 8Rental's objective is to ensure reliable & trustworthy passenger transportation on Krakow roads & Lesser Poland Voivodeship area. Hustle-free travel, relaxation, security - primary conveniences of hiring 8Rental's new coaches driven by optimistic well-organized chauffeurs! 8Rental's confident team contains optimistic drivers, well-familiar with Krakow streets, routes, directions & suburbs. Accepting all 8Rental's rental terms & conditions you reserve superior Lesser Poland Voivodeship's chauffeured bus supplier! Rent a coach in Krakow with driver unhesitatingly! The first written mention of Krakow dates back to 996. The city is located near the borders with the Czech Republic and Slovakia. Area - 326.8 square kilometers. 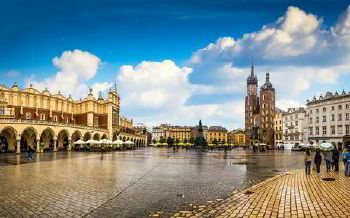 The capital of Poland until the end of the sixteenth century, Krakow has been superseded by Warsaw but is often still referred to as the country's cultural capital. There are approximately 200,000 students in Krakow. Jagiellonian University is the second oldest university in central Europe, founded in 1364 by King Casimir II the Great. Poland's, as well as Krakow's currency, is zloty. 8Rental's Bus hire in Krakow with chauffeur allows discovering more about city's most famous destinations, like Corpus Christi Basilica, Katedra Wawelska, The Czartoryskis Museum, Ojców National Park, Wieliczka Salt Mine, and Polish Aviation Museum. As one of the leading coaches hire in Krakow with driver companies, we also provide coach services for John Paul II International Airport Kraków–Balice. 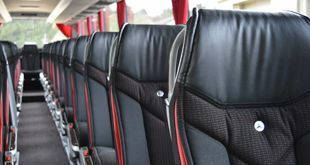 Inexpensive chauffeured bus hire in Krakow- excellent economical choice! Krakow's professional chauffeurs are trained, time-tested & fully licensed.